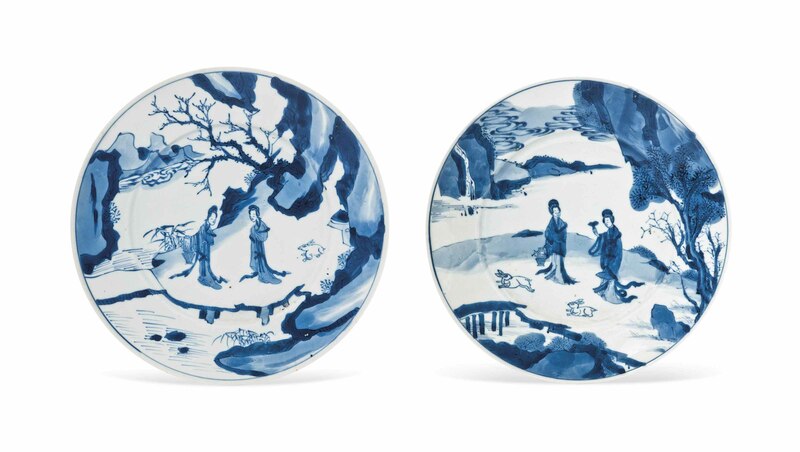 They are variously decorated with a pair of elegant ladies and hares beside a tree in a mountainous river-landscape. 8¾ in. (22.2 cm.) diam. max.